God created everything out of Something that existed in Himself and not out of Nothing. So the human eye will say nothing but the “God eye” says out of something. This means that the world existed, but in God and because God is a Spirit Being it only takes people in the spirit to see the things He is made up of. Then again because God had plans to put man who is a physical being incharge of the things created He had to make those things visible in other to make those things useful to us. So out of things that existed in God, He brought forth the universe that existed in the spirit realm by His Word into the physical. God set invisible processes in motion at creation to respond continuously to His Word to form visible substances. Let us look at these examples; oxygen and hydrogen molecules are invisible to our naked eyes yet through a chemical reaction they become a visible substance called water, the same applies to sodium and chloride molecules coming together to form salt(tangible). We are surrounded by spiritual molecules that are designed to respond to our thoughts and intentions(faith) to produce visible substances (miracles). These spiritual things became visible only when God spoke, the same manner God has given us the power to speak His Word into our lives to make manifest things unseen. I am here to tell you that whatever you need for victory already exists but in another form. 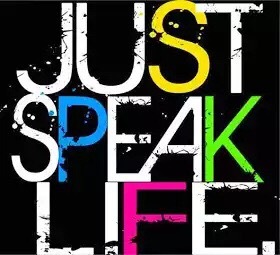 All you have to do is speak and bring them forth! Note: Whatever you sow will come back to you multiplied therefore do not let just anything exit your mouth because you will reap in abundance at an unexpected time. Words are more powerful than you can ever imagine. If we reap what we sow, then why not invest our energy and resources into speaking good into our lives. Afterall we are not billed monthly per the number of words we speak. Father Lord, thank you for Your words please forgive me of any sin committed against you. I override any ill spoken words from my past by the power in the Blood of Jesus. I ask that your word fulfills the very purpose for which it was sent before returning to You. Your word makes me understand that life and death lies in the power of the tongue therefore Father, help me to always speak right even in wrong moments. With you by my side i am capable. Thank you Jesus for making your ears attent unto my prayer. This one has some very insightful thoughts for us all to consider. I like the prayer…especially the line about speaking the right things even in the wrong times! wow! such great a message. I like the analogy: it’s perfect. 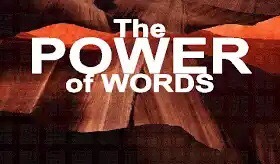 The power of words. Anointed and amazing piece.